Lars Tveen is president of the Danfoss Heating Segment. Having been in the heating and cooling sector for more than 30 years, I am really excited to see, for the first time in the history of the European Union, a comprehensive strategy on heating and cooling. It is a very positive political signal to the entire energy-efficiency industry. Europe is a leader in energy-efficient technology and I am really pleased to see that with this strategy, the European Commission acknowledges the huge potential of efficient heating and cooling of buildings. This is without doubt a decisive step forward in de-carbonising the heating and cooling sector, to make Europe more energy secure and more competitive. The heating and cooling strategy, released on Tuesday (16 February), represents a change in mind-set of the heating and cooling transition in Europe. Heating and cooling accounts for half of the EU’s final energy consumption and this presents a huge challenge but also a huge opportunity. The energy transition will not work without a heating transition, and buildings play a major role in this. Making our building stock more integrated into the energy system has multiple benefits. Smart and energy-efficient buildings are capable of integrating and balancing various energy sources from renewables, geothermal, wind and solar, to conventional energy sources; thus adding more flexibility to the overall system and, at the same time, reducing peak load. Taking a more holistic view of energy demand and supply will result in huge opportunities as this approach will drive improved efficiency in building space and water heating, which together account for 80% of final energy use in residential buildings. 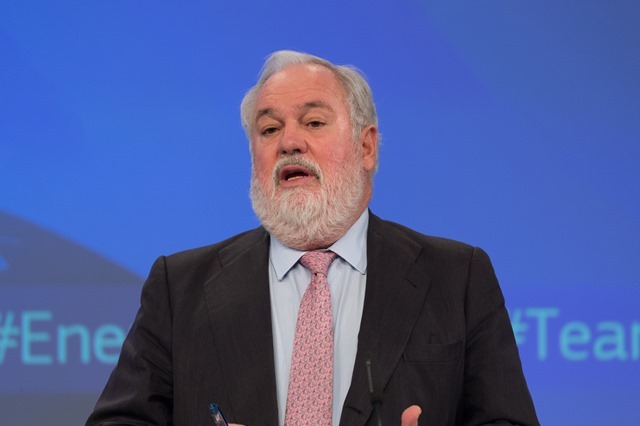 The Commission recognises the transformation of the existing building stock, and the expansion of district energy networks, as one of the biggest opportunities for Europe and we could not agree more. The strategy clearly stresses that the pathway to Europe’s low-carbon future is not just about how much wind or solar energy we can produce; it is also about how much wind or solar energy we are capable of utilising, and how much we can reduce our energy consumption. What we need are smart energy systems and technologies that are capable of integrating as many renewable energy sources as possible. Smart energy systems, like district energy, that allow for thermal storage and which can integrate buildings as storage capacity, are therefore key to Europe’s 2030 goals. On the demand side, energy efficiency ensures that heating and cooling is affordable for citizens and building owners. There is great potential that is worth leveraging in thermostatic radiator valves, a proven and ready-for-implementation technology, which offers impressive energy savings with minimal investment costs. Actually, two thirds of the EU’s buildings were built when energy-efficiency requirements were limited or non-existent. This means that there are currently more than 500 million manual radiator valves in the 28 EU member states that could be replaced with thermostats that are up to 46% more efficient. This alone would deliver €10 billion in annual savings at EU level. Firstly, we need to look into the enormous potential of recoverable heat in Europe. This is what is often called waste heat or excess heat. It may be a by-product of industrial processes or services such as data centres, supermarkets or energy-intensive industries. As Heat Roadmap Europe and Aalborg University have shown, recoverable heat potential could meet the entire space heating demand in the EU. This is one aspect that must be further strengthened in the strategy with real policy measures to unlock this potential. Secondly, we need to look at synergies between the electricity sector and the heating and cooling sector, in particular the emergence of renewable energy sources. This implies looking at the potential of thermal storage to utilise off-peak electricity for example. Thermal storage is 100 times cheaper than electricity storage. According to data provided within the Stratego project, it costs 0.5 to 3 euros/kwh to store heat, and 170 euros/kWh to store electricity. The Commission has clearly identified the potential in the strategy. The good news is that we already have all the technology needed to make heating and cooling more efficient, while reducing the energy bill for the end-consumer. The technology is ready, and it is now up to us, the industry, together with policy-makers, to deliver on promises. Great post about heating and cooling system.